FThese are the basic FANTAREX product categories. Please refer to each product category for the detail, and feel free to ask for customization or new development. 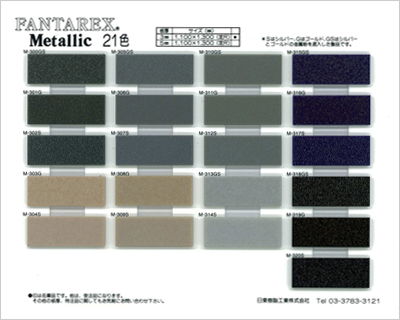 FANTAREX METALLIC Series is a Matt finished Cast sheet with metal powder mixed in. S stands for Silver, GS stands for Gold/Silver. 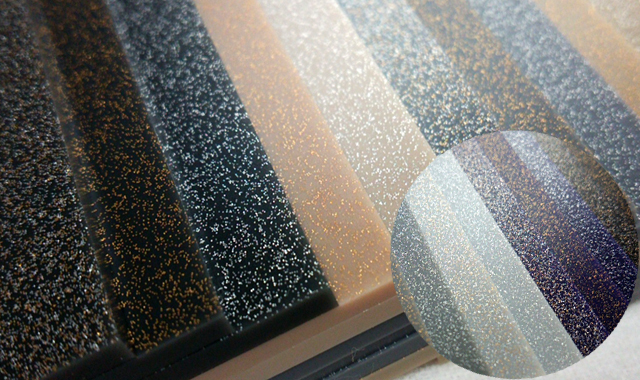 M-315GS～M-317S are using blue substrate and M-318GS～M320S are using black substrate.FANTAREX METALLIC Series will provide a sharp atmosphere to variety of applications. Signage board / Display case / etc.